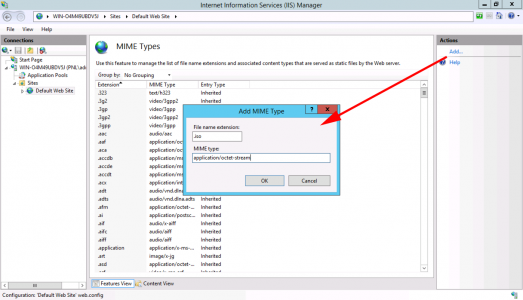 I first saw this problem a few months ago, when I wasted to download some .bin and .pkg files from a web server running IIS, into a Cisco firewall. 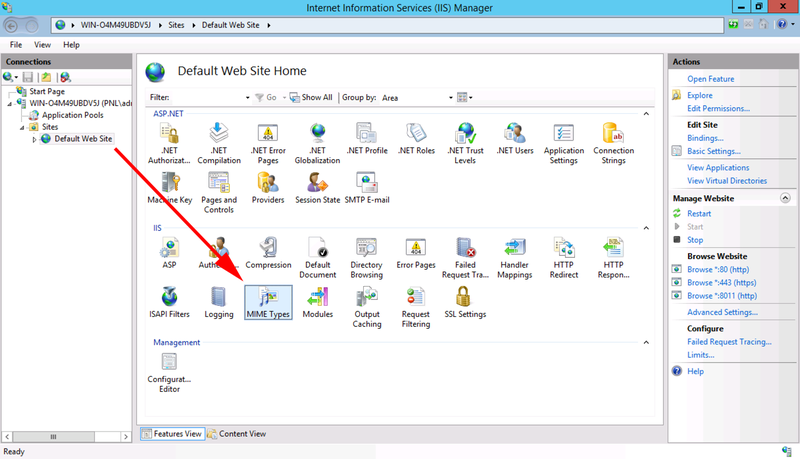 Then again this week I needed to get a large .iso file into a clients network so I put it on a publicly accessible web server running IIS, and had the problem again. 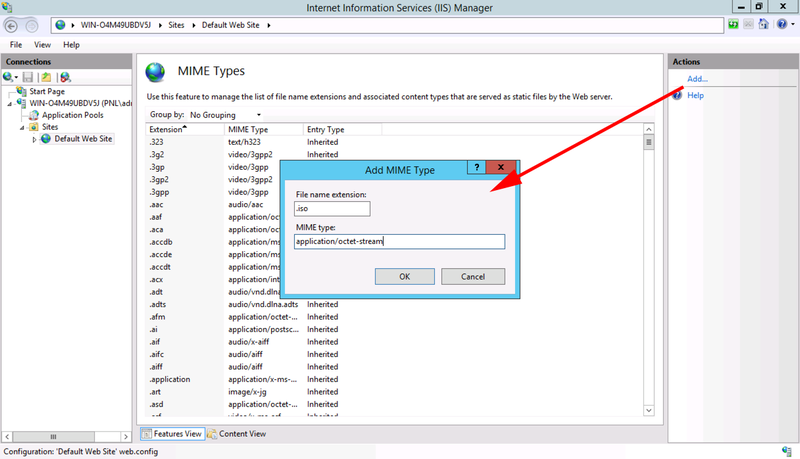 On the IIS server, open administrative tools > Internet Information Services (IIS) Manager > Drill down to the default website > Locate the ‘MIME Types‘ and open them.